ONI Bureau: As a Cyclonic circulation over Northwest Bay of Bengal to turn into low pressure within 24 hours, the Regional Meteorological Centre predicted heavy rainfall in 11 districts including Gajapati, Ganjam, Rayagada, Koraput, Malkangiri, Puri, Kandhamal, Cuttack, Jagatsinghpur & Khordha in next 24 hours till Aug 20. Reportedly the North Odisha will experience thunderstorms, lightning and rainfall while the Southern Odisha will face only rain and thunderstorm. 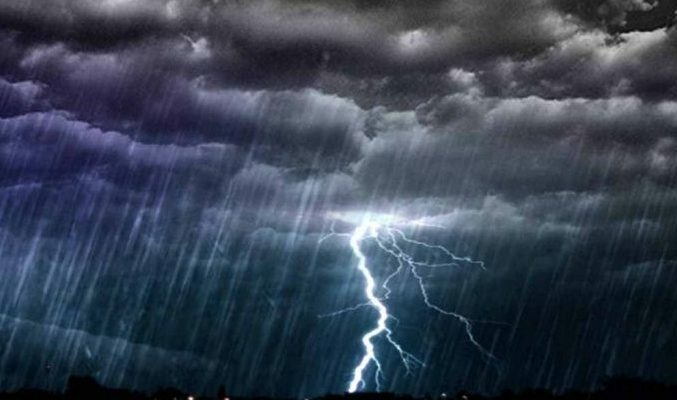 The MeT also predicted thunderstorm, lightning and moderate rainfall for today at one or two places over 14 districts including Sambalpur, Jharsugada, Kendrapara, Deogarh, Sundergarh, Rayagada, Gajapati, Ganjam, Puri, Jagatsinghpur, Kandhamal, Cuttack, Nayagarh and Khordha.